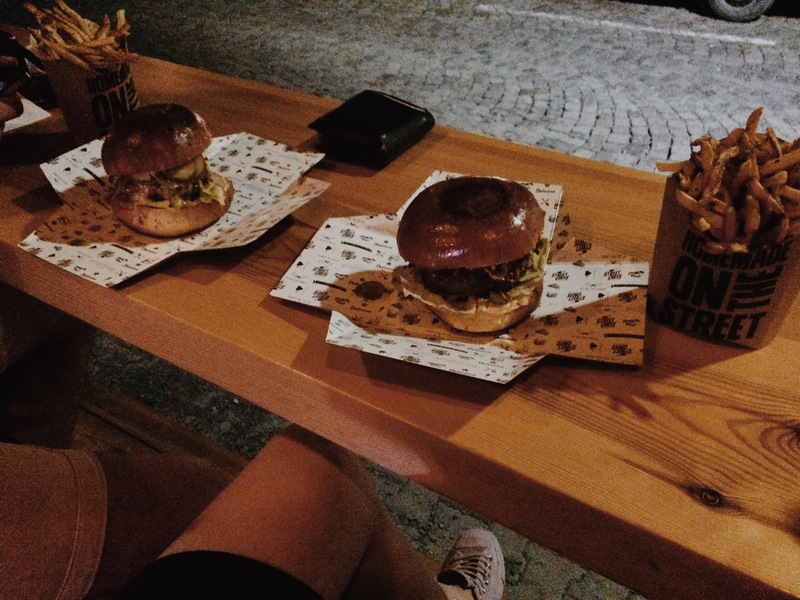 One of my first days back home in Bulgaria, my best friend took me to this delicious burger place. The restaurant itself is a big camper parked in the middle of the street. The prices are quite good as well, usually around 12 leva per person. Street Chefs was the place with the best fries. Thin and crispy. Plus they had Heinz Ketchup on the tables and I think very highly of places that offer Heinz (#KetchupAddict). 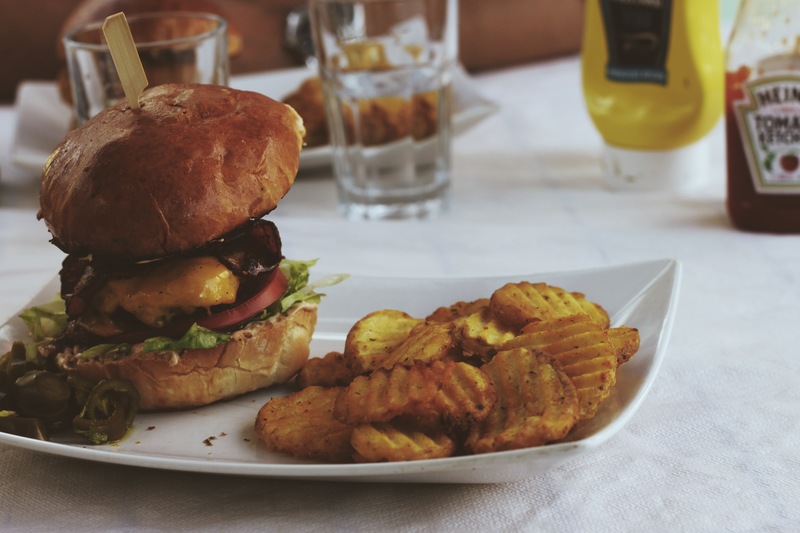 Overall the menu consists of traditional burger recipes that would suit every taste. Additionally you can also order them with BG MENU with a free delivery. The website also offers some really good menu deals – burger, drink and fries for the pries of just a burger. 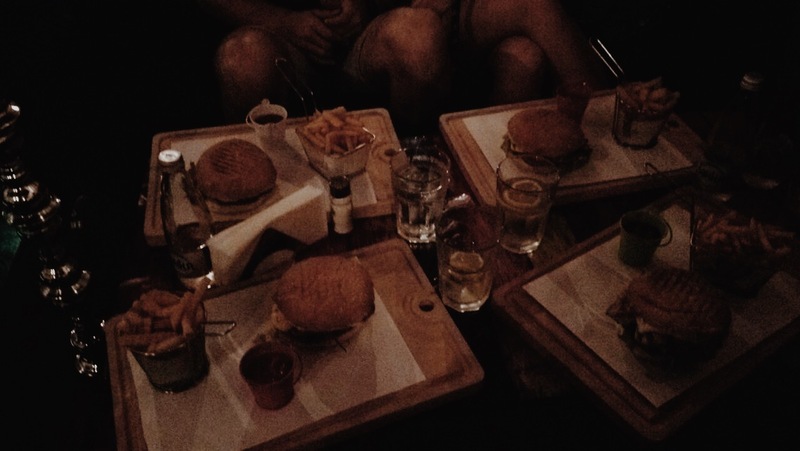 It is not something typical to think of Burgers when you hear Shisha. And it offers the most basic burger of all the places. But if we look at the price/quality ratio it definitely is worth the money. For the price of 6 leva you get – 1 burger with meat (chicken or beef), bacon slices, a salad leaf, an egg and gherkins. Additionally you get a side dish of tomato and cucumber salad, fries and two types of sauce (mayo and ketchup). Definitely a must try burger for those of you who want to spare some money and still get an excellent result. It goes really well with a peach and melon flavored hookah and one of the non-alcoholic fruity drinks offered by the lounge. Have you even been to the heaven of burgers? I have. Skaptobara has got to have the most amazing burgers in town. Not only is the menu very rich with new flavors and amazing burger combination, but has the most creative burger names. 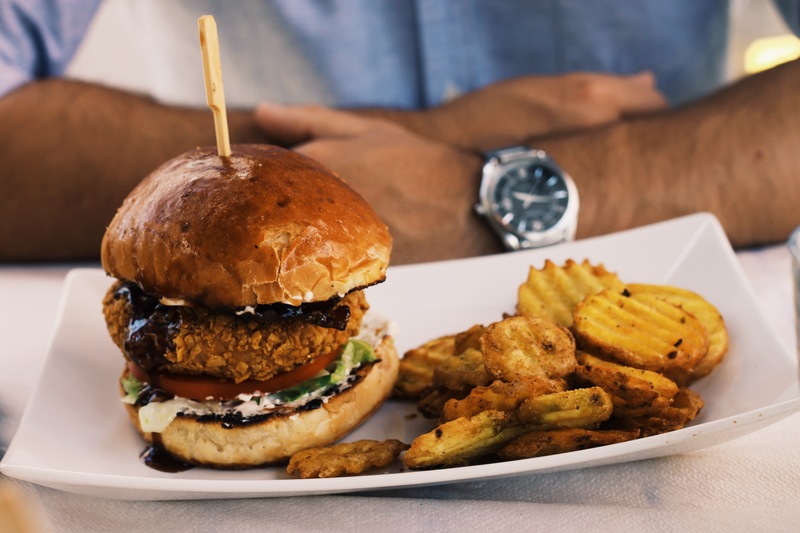 The restaurant also offers a good alternative for the ones that want to keep their waist slim – instead of bread buns, they offer iceberg salad buns. Creative and healthy. Additionally the meat for the burgers is fresh and can be ordered in raw, medium or well-cooked format. Go there. Now. And try out the El Pollo Loco or Double Skapto Burger with medium cooked meat and a side dish of curly fries. Here we should mention one burger that did not make it to our list, but still has to be mentioned. 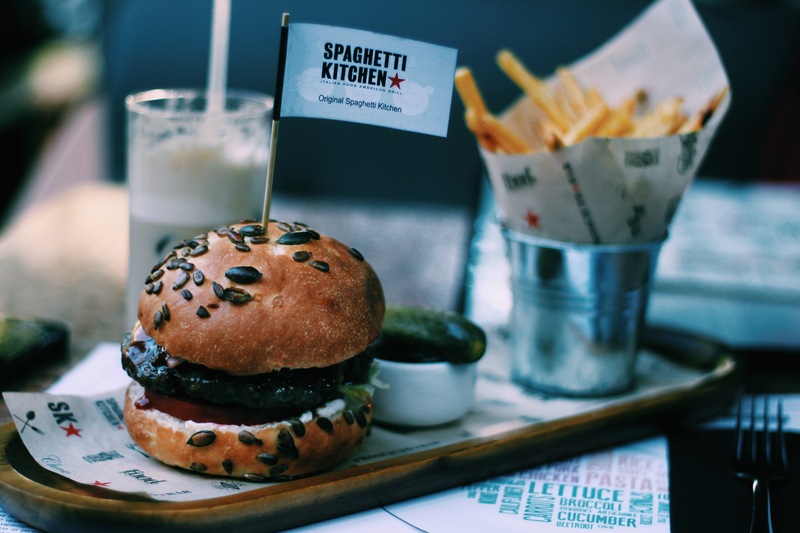 The Spaghetti Kitchen Burger follows a classical burger recipe and is served with gherkins and fries. It is a very good gourmet burger you should not miss. If you are a Burger Beginner, do not worry…it comes with instructions on how to eat it. It goes really good with their homemade strawberry lemonade or one of their rich and creamy frappes. You ever tried Boom Burgers? (my top 3 is: 1) Boom Burgers, 2) Street Chefs 3) Skaptobara ) 🙂 If you not, then, you missed a lot. Each and every one of these places sounds like a place to find a delicious burger.